This paper discusses research by design efforts in architectural education, focused on developing concepts and methods for the design of performance-oriented and intensely local architectures. The pursued notion of performance foregrounds the interaction between a given architecture and its local setting, with consequences not only for the design product but also for the related processes by which it is generated. Integrated approaches to data-driven computational design serve to generate such designs. The outlined approach shifts the focus of design attention away from the delivery of finite architectural objects and towards an expanded range of architecture-environment interactions that are registered, instrumentalised and modulated over time. 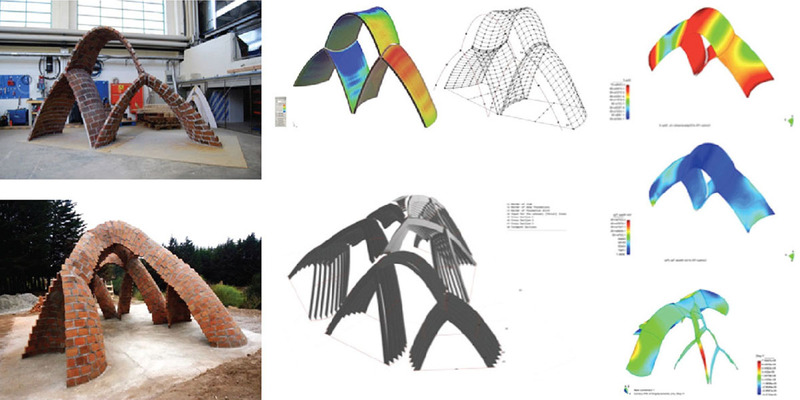 This paper examines ongoing efforts in integrating specific architectural goals and approaches, computational data-driven design methods and generative design processes, based on a range of context-specific and often real-time data sets. The work discussed is produced in the context of the Research Centre for Architecture and Tectonics (RCAT) and the Advanced Computational Design Laboratory (ACDL) at the Oslo School of Architecture and Design. Michael U. Hensel is an architect, educator, researcher and writer. He directs the Research Centre for Architecture and Tectonics (RCAT) and is full professor at the Oslo School of Architecture and Design in Norway. He is chairman of the OCEAN Design Research Association and SEA – Sustainable Environment Association, as well as an editorial board member of AD Wiley, the International Journal of Design Sciences and Technology, and the online journal FormAkademisk. He has written and published extensively. Søren S. Sørensen is an architect, educator and researcher with extensive experience through practice, tutoring and multidisciplinary research in the fields of virtual and augmented reality. Articles published focus on architecture, visualisation and safety in nuclear facilities. He currently directs the Advanced Computational Design Laboratory (ACDL) at the Institute of Architecture at the Oslo School of Architecture and Design in Norway. He is a board member and current secretary of the OCEAN Design Research Association. HENSEL, Michael U; SØRENSEN, Søren S. Intersecting Knowledge Fields and Integrating Data-Driven Computational Design en Route to Performance-Oriented and Intensely Local Architectures. FOOTPRINT, [S.l. ], p. 59-74, nov. 2014. ISSN 1875-1490. Available at: <https://journals.open.tudelft.nl/index.php/footprint/article/view/812>. Date accessed: 23 apr. 2019. doi: https://doi.org/10.7480/footprint.8.2.812.